Enjoy your stay in comfort and style in this brand new modern, bright and beachy apartment in the exclusive new Pine Tree Apartment complex. The property features two bedrooms, modern bathroom and kitchen with luxury appliances and fittings throughout, ultra-spacious interiors and open plan living, sunny north-facing alfresco balcony, ducted air conditioning, WiFi and Fetch TV. 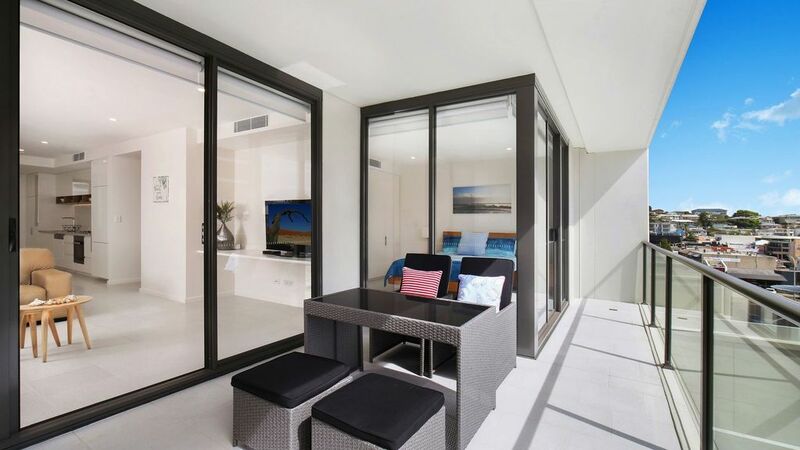 With award winning eateries, chic boutiques and beautiful buzzing Terrigal Beach at your front-door, 405 Pine Tree is ideal for families, corporate travelers, couples or ladies groups looking to explore and relax. Master bedroom features queen bed, built-in robes and balcony access. Bedroom two features queen bed and build-in robes. WiFi included. *STRICTLY NO PARTIES / FUNCTIONS.